Treat your kitty to the new product line from Fancy Feast. 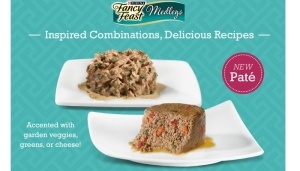 Get one of these free Fancy Feast medleys samples that has come available. This new line of cat foods are accented with veggies, greens or cheeses. This will have your kitty purring and wanting early dinners daily. Look to the right side of their webpage and click “Try it for Free” to request your free can of cat food.